Founded in 2008 and based in Toronto, Canada, StickerYou is the brain-child of a man named Andrew Witkin, who was inspired with the idea as he was strolling along a Los Angeles beach and noticed stickers and more stickers, everywhere he looked, from car bumpers to skateboards to windows and walls and more. Witkin realized that not only were stickers and labels extremely popular and prolific but that there wasn’t a convenient, easy way for people to make their own, be it for fun, for home use or even for business. He decided to fill that gap, and that’s the simple story of how StickerYou began. StickerYou is a online site that has the most creative and unique stickers, labels and decals. 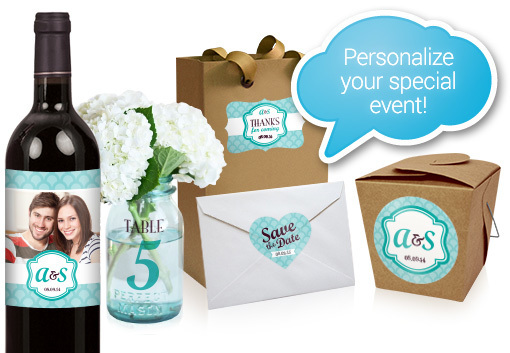 This company allows you to create stickers and labels for virtually any occasion, holiday or project. You are able to design stickers from photographs or personalize with names and sayings as well. Actually anything you can imagine will work. It’s so easy, you simply upload a favorite image, pic, logo or design and make it personal. After you have completed your creation, the finished product is shipped directly to your door. Sticker You has the best peel & stick custom made vinyl stickers for a window, car windows, walls or just about anywhere! Sticker You makes it so easy to create all kinds of designs. They have a huge selection of many different stickers and decals to choose from. They even have a sticker kit were you can create designs and then print them out! Besides this review we will show you all the different stickers and kits available from Sticker You for sale.